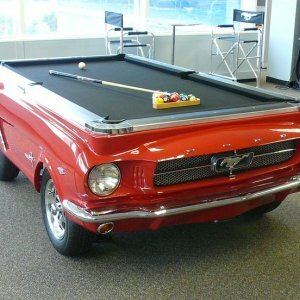 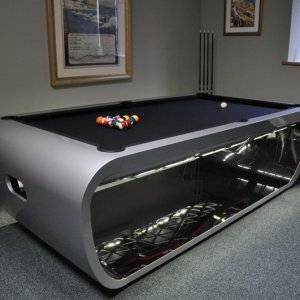 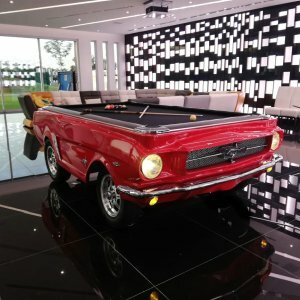 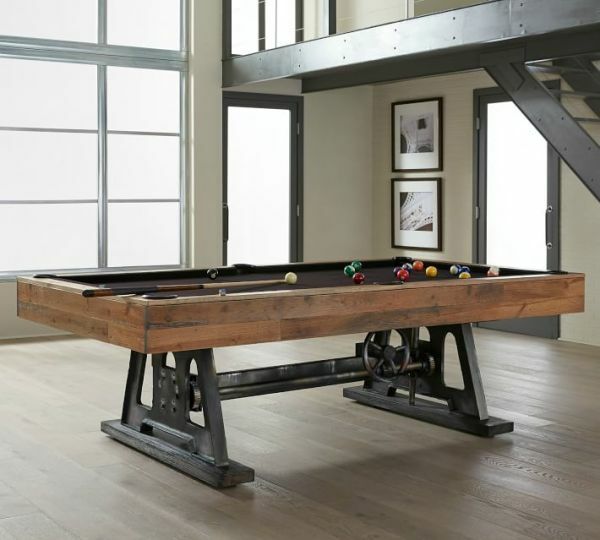 The Da Vinci line of pool table is showcased and inclusively sold at the Pottery Barn, Bloomingdales, and Crate and Barrel. 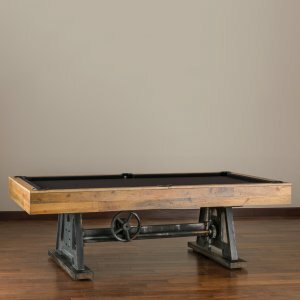 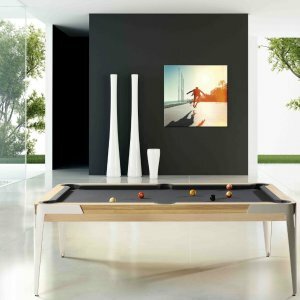 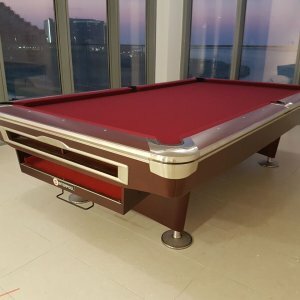 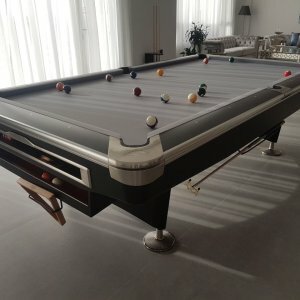 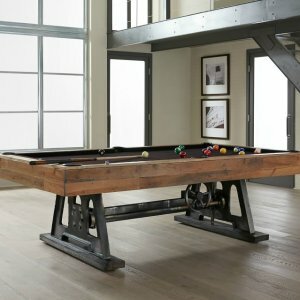 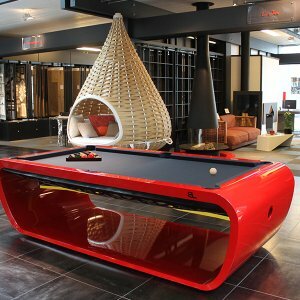 Da Vinci pool table is crafted with reclaimed wood and steel and immediately becomes the stunning centerpiece of any home it graces. 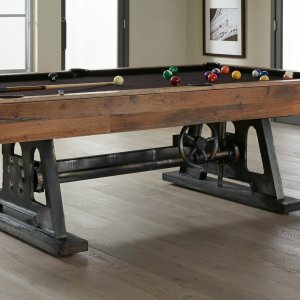 With its heavily worn industrial base and hand-made rail set, no Da Vinci is ever the same which is what makes it so special. 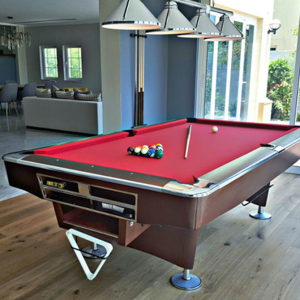 Its hand-finished rustic-mahogany stain adds to its handsome look and enduring style. Crafted with kiln-dried reclaimed wood. 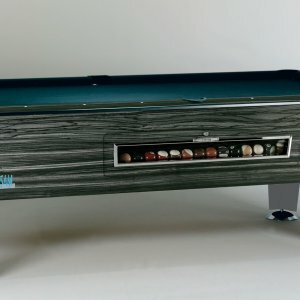 Top-grain leather lines internal drop pockets. 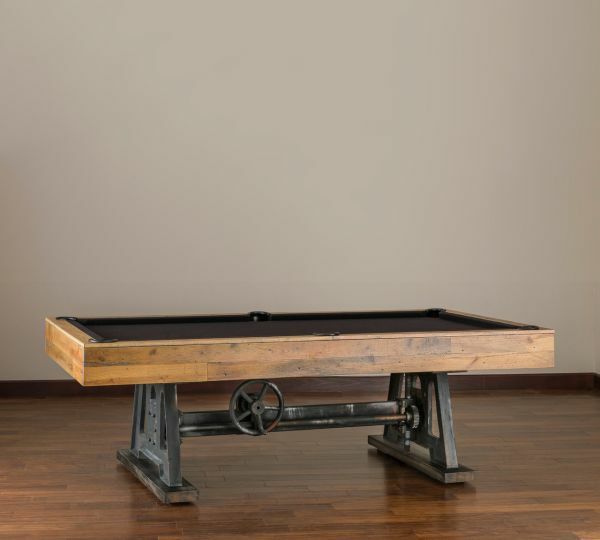 Boxed frame construction utilizes cross-laminated beams to prevent any warping or sagging. 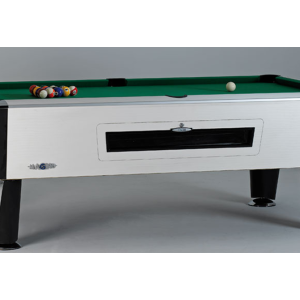 Table rails are bolted through the slate to quiet the play of the table and provide optimum anchor points for ball rebound.